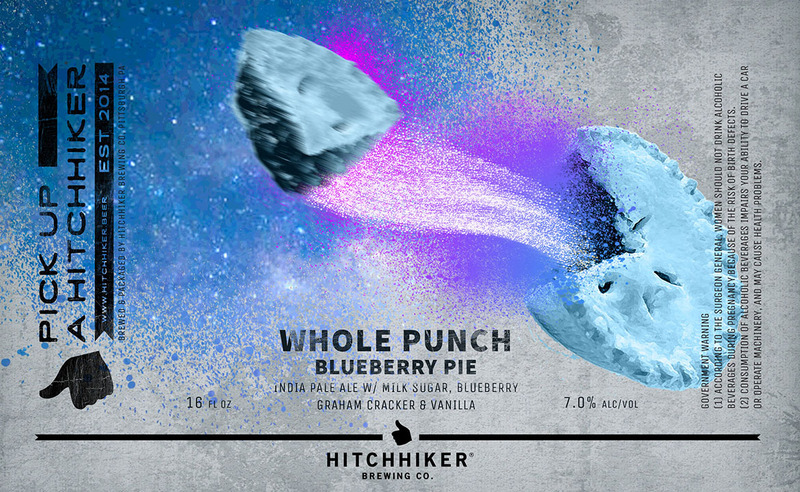 Whole Punch: Blueberry Pie | Hitchhiker Brewing Co. Brewed with oats and milk sugar. Hopped with Mosaic. Conditioned on blueberries, Madagascar vanilla beans, and graham crackers. Notes of blueberry, pine, graham cracker, and vanilla.